Compression - Can You Compute? Compression is required to reduce the size of files and in turn the storage / memory required to save the file. A smaller file size means less memory is used. Consider a large 18megapixel photo, this requires 18Mb of memory to store it. By compression it you can reduce this. Compression saves memory but is also required when transferring data and files over a Network or the Internet. There are two main types of compression and these can impact on the quality of the original image. 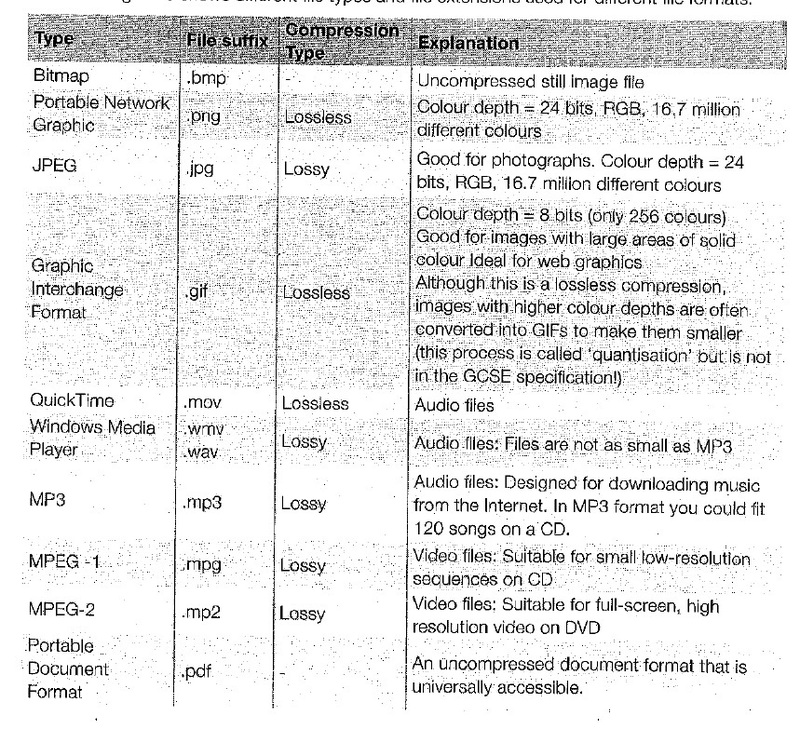 Compression can be applied to all media files such as animation, video, sound etc. What is compression and why is it required? Consider an email with a large attachment why does the file need to be compressed? What is run length coding?